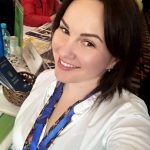 Director of the Ukrainian State Center for International Education, Olena Shapovalova, is in the Republic of Kazakhstan now. 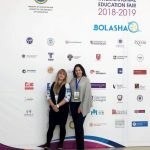 On the 10th of November, 2018 the opening ceremony of the International Education Fair 2018-2019 was held in Astana. 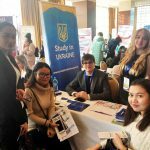 The Minister of Education and Science of the Republic of Kazakhstan opened the International Education Fair 2018-2019 with greeting word. 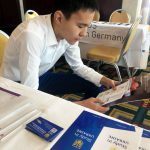 On the 12-13th of November, 2018 the Fair was held in Aturau, now the delegation works in Shymkent, and on the 17th of November it will arrive to Almaty. 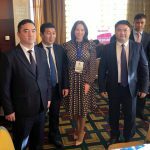 During the Fair, Director of the Center Dr. Olena Shapovalova met with Minister of Education and Science of Kazakhstan Mr.Erlan Sagadiev and President of the Center for International Educational Programs Mr. Zhanbolat Meldeshov (Scholarship of the President of Kazakhstan “Bolashak”). The Kazakh side confirmed their readiness to expand educational cooperation between our countries. It was agreed, that the Republic of Kazakhstan will pay much more attention to scholarship programs with Ukraine next year. The Ukrainian side emphasized on the Interstate agreement existing since 2010 between the Ministry of Education and Science of Ukraine and the Ministry of Education and Science of the Republic of Kazakhstan about cooperation in the educational and scientific fields, according to which Ukraine annually provides an equivalent exchange of students for full-time education: under the bachelor’s program – 30 persons and Master’s degree – 10 persons.